Time sure does fly, and somehow summer is upon us. 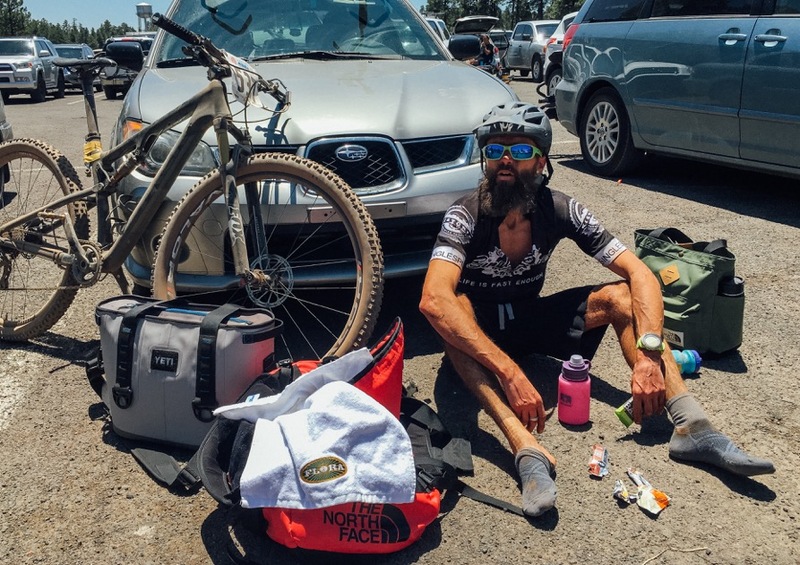 I have been busy getting the garden planted and checking out the early Farmer’s Market and Rob has been continuing his trend of trying new things and entered his very first mountain bike race last weekend. It was a hot one! Needing to cool off and celebrate the coming of the season of backyard relaxing, we asked ourselves what do you make for friends when berry season finally arrives? 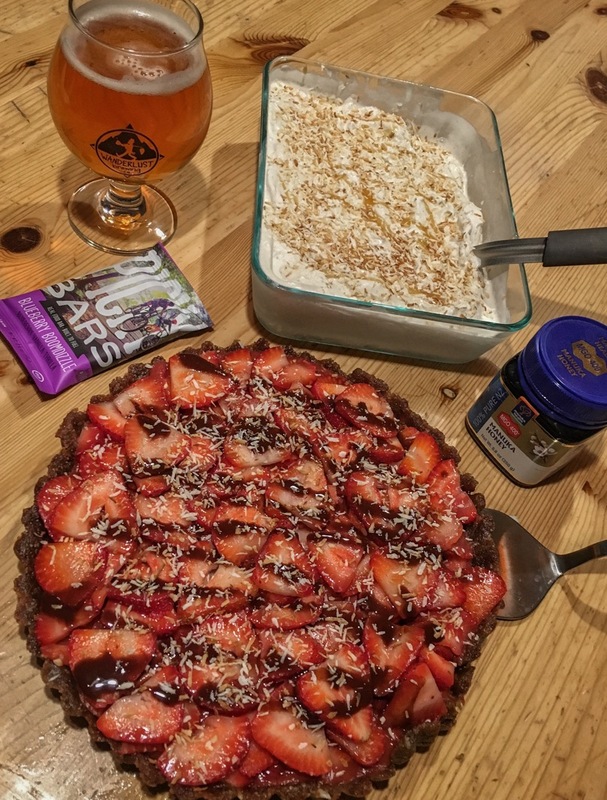 Strawberry pie of course – this edition ranks high on the list as it is incredibly quick, easy, and requires no oven time – a bonus when Flagstaff hits our excruciating high temps in the 80’s . . . . I know I know insert eye roll we know we are spoiled, but in any hot times no baking is a bonus. This is also great for all you vegan and gluten free friends out there. In fact it has a seal of approval from gluten fans and gluten frees alike. This time the pie was paired with a 4, ok really 5 ingredient coconut ice cream that is out of this world. 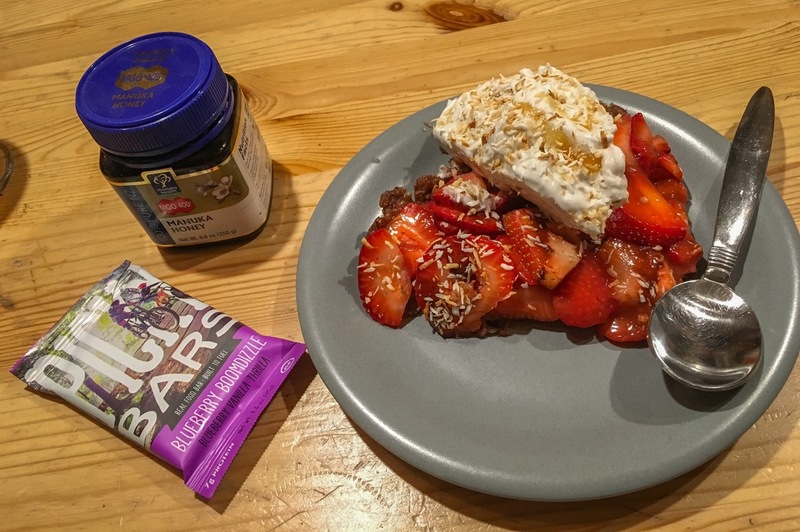 The flavor of the Manuka honey shines and plays very well with the coconut and both are a fresh and cool partner to the pie. Note that you can omit and use another sweetener if you are vegan. This dessert is light and satisfying and I can easily justify the pie as breakfast – after all the ingredients are basically what I eat for breakfast anyway. The pie is based on a recipe from the AMAZING Joy of Vegan Baking – there is some super delicious stuff in there! No baking in summer sounds perfect. What would be a good substitute for picky bar? We don’t seem to have them here. Would some blueberries work in a pinch? Hi! I reached out to picky bars and I don’t think they have made it down to NZ yet, they are a great bar company out of Oregon. In a pinch you could make the crust with more nuts and dates. Feel free to add to your blog!